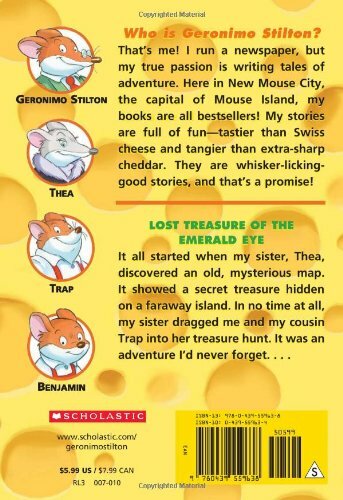 In his native Italy Geronimo Stilton is almost as popular as Harry Potter. 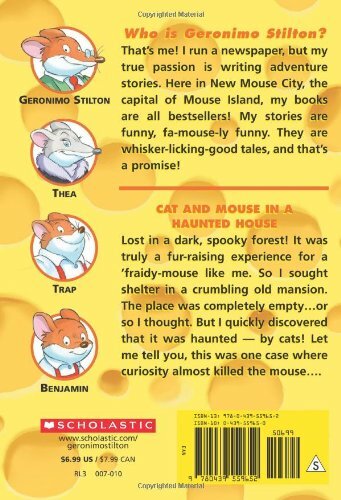 Then again, in Italy the stories about the editor of Mouse Island's newspaper The Rodent's Gazette and his ever-squabbling family can be read as political satire. In this country any such satire would be lost on the target audience. 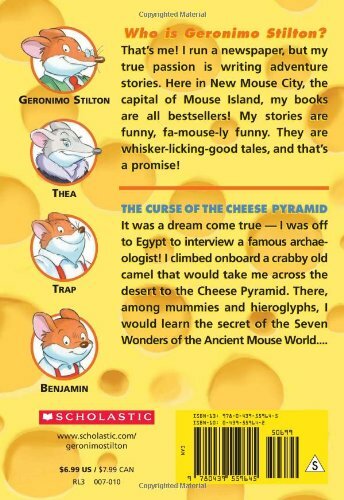 What young readers get in these books are the sort of run-of-the-mill plotlines familiar to any regular viewer of Scooby Doo and an awful lot of references to cheese. Geronimo is surprisingly middle-aged to be an adventure hero - his daring sister Thea with her hold-the-front-page attitude and motorbike is far more attractive a character - but even so the stories rattle along at break-neck speed. Splashes of colour (or color as these have it) and different type faces scattered across the pages make the books visually very appealing though no easier to read and add to the feeling of breathlessness. 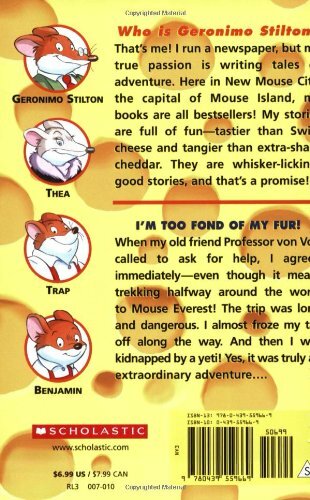 There's a picture of the entire staff of the Rodent's Gazette and maps of both Mouse Island and New Mouse City at the beginning and end of the books though you have to wonder why as in each the action takes place elsewhere and features a different set of characters altogether.